We monitor, manage, and build your online reputation! Customers are talking about your business on sites like Yelp, Google Maps, Facebook, blogs and elsewhere, and this chatter has a direct impact on your revenue — it’s time you join the conversation. Reputation Management gives you complete control over your online presence. 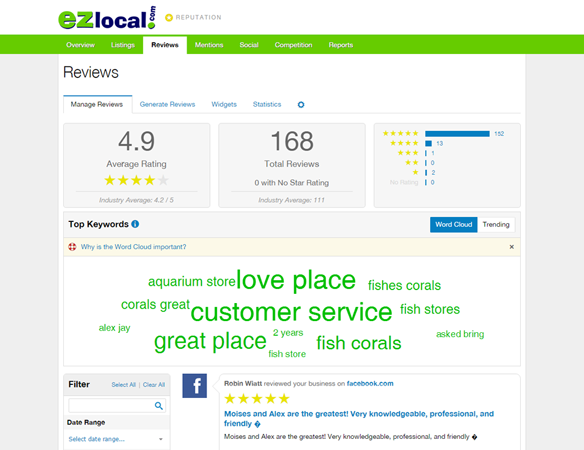 Every review that comes in for your business will be responded to by our agents. 24/7 review & mention monitoring. 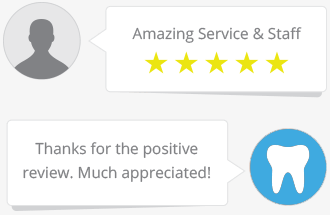 Our agents respond to positive & negative reviews. 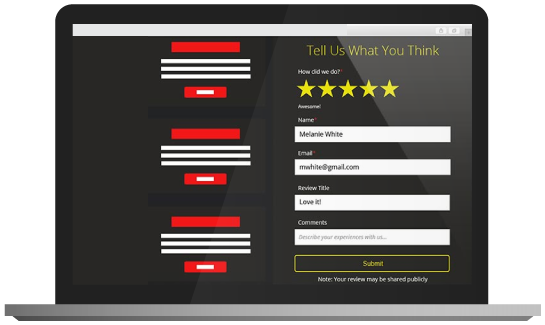 Generate new positive reviews via email or text. Monitoring online reviews and mentions is important, but businesses that take the time to respond to customers set themselves apart from the competition. Responses build trust, which translates into higher loyalty and increased sales. Bad review? Our agents respond with an apology, explanation or incentive to win the customer back. Positive review? We spread the word and share it across multiple social networks. 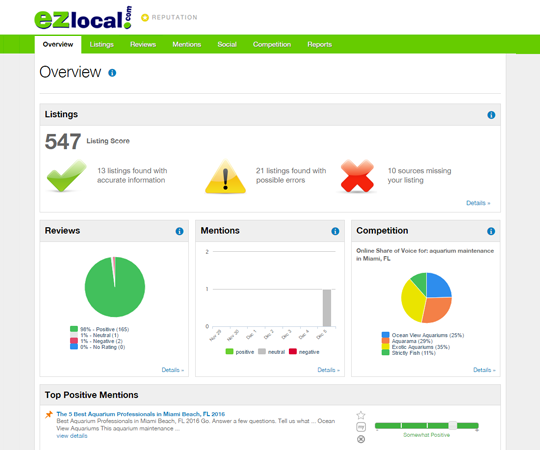 EZlocal Reputation Management shows you what people are saying about your business, improves your visibility in local search, and provides you with detailed progress reports. 85% of consumers are positively inﬂuenced by customer reviews and are more likely to buy something they hear about via customer reviews. We make it easy to gather and post reviews! 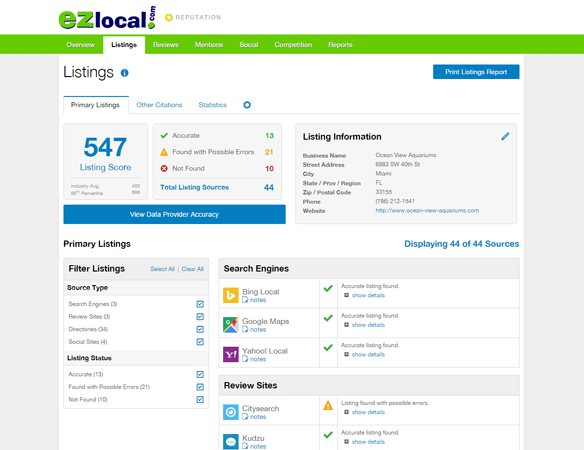 If you need to improve your local business’s review scores, boost their search engine rankings or build credibility, Review Generation is a reputation management tool that helps you build a stronger online presence and a more positive online reputation. You need a solution that does the heavy lifting for you. Control which reviews go public and stay private. 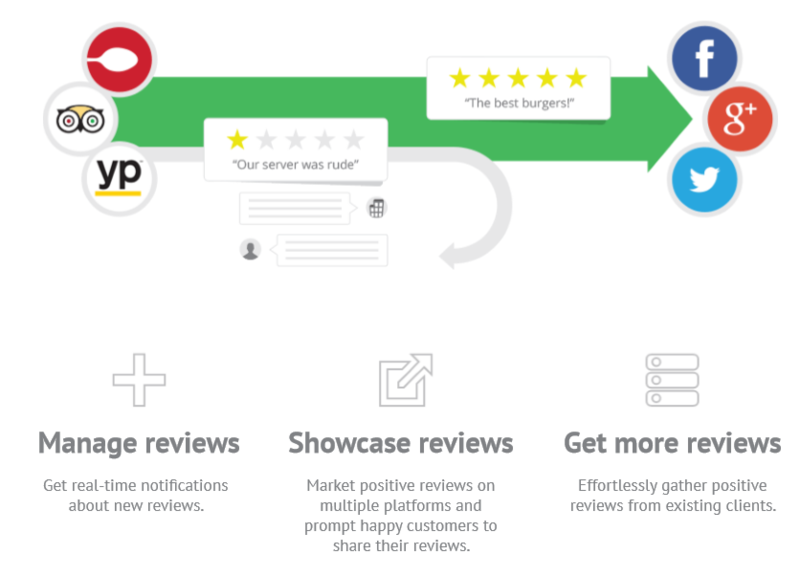 Spread positive reviews throughout social media. Send your customers an email to request feedback on a per customer basis or email hundreds of customers at once. Personalize the email design and content with customizable templates.